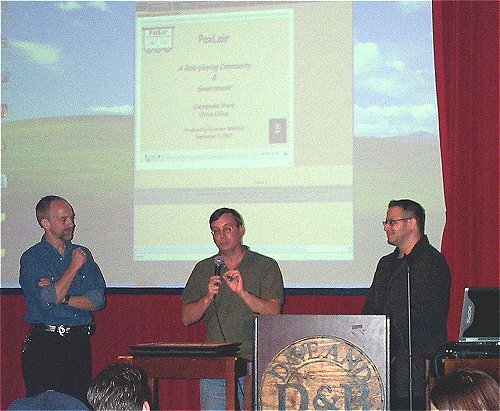 Governor Winfield (aka Jerry Thompson) of the PaxLair Statehood gave special presentations to Lead Designer Draconi (aka Tim Cotten) of EA Mythic and Lord British (aka Richard Garriott) at the Austin Town Hall meeting on September 8, 2007. 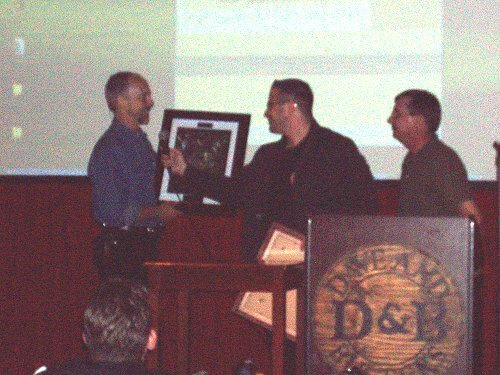 The presentations focused on the 10th Anniversary of Ultima Online and UO's support to Player Communities. UO Community Coordinator Jeremy (aka Jeremy Dalberg) and Lead Designer Leurocian (aka Patrick Malott) were nearby for the presentation. 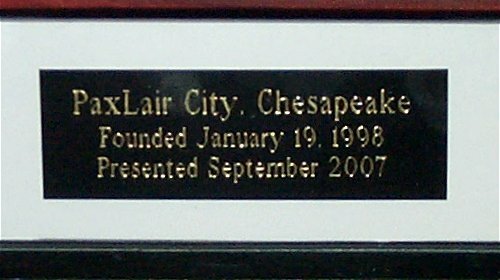 In front of more than 100 people in attendance, Winfield offered a brief introduction to the PaxLair Statehood of five "player-cities" on the Chesapeake Shard and the early days of forming PaxLair in 1998. He explained how the young city of PaxLair on Felucca became a crossroad for many guilds and "players" in an era when buildings were new and crafted furniture was stolen every day. 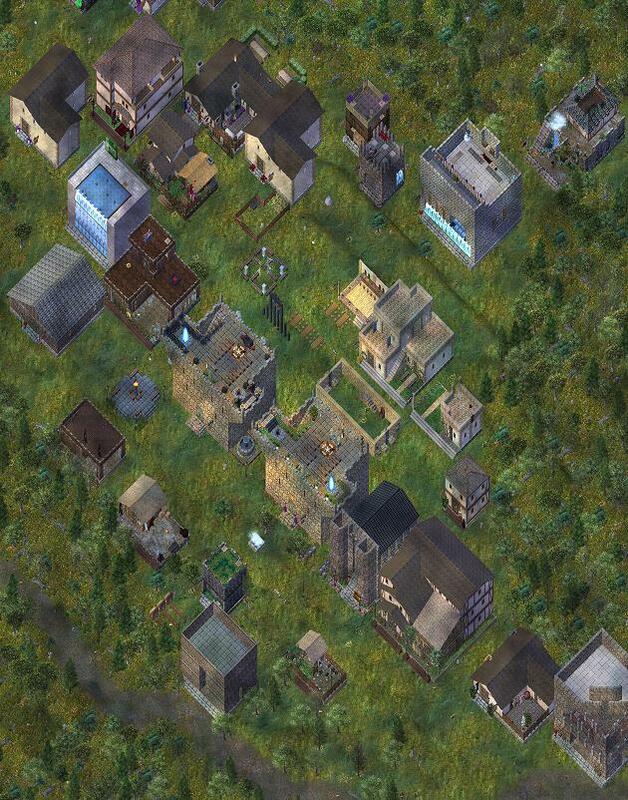 Nearly 300 players from several guilds became involved in PaxLair at that time. 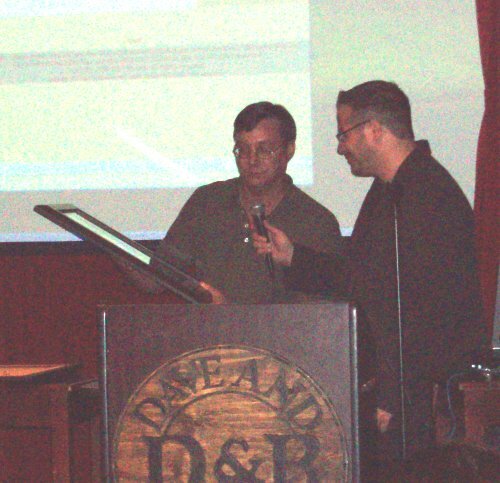 He explained how the "player-volunteer" Seer Daemeon worked with him in helping the Chesapeake and PaxLair community in 1998-1999. Daemeon even brought Lord British personally to the Mage Tower in PaxLair on November 11, 1998. 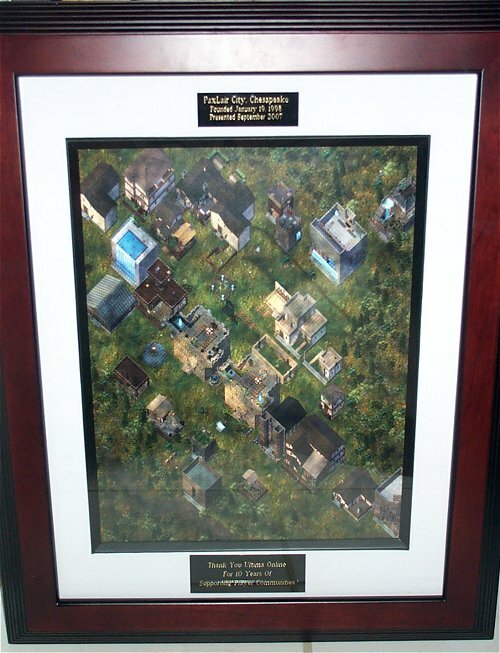 Lord British honored PaxLair and its founders and people by placing a plaque above the Mage Tower doors stating "Proclamation of Distinction By His Royal Majesty Lord British"; the Mage Tower and the plaque still exist today. Winfield then offered a short video slide show describing the PaxLair Statehood and its cities. The video also showed a dedication to the ideals of Seer Daemeon, who departed from the Realm on May 7, 1999.
to make this humble presentation at the UO Town Hall meeting in Austin, Texas. 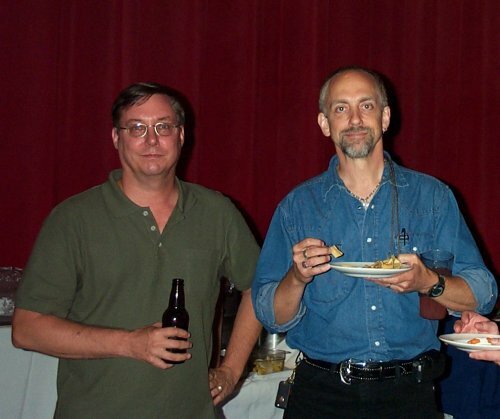 We continue to have have great hopes and respect for Ultima Online and the player communities. -- Winfield, Governor and Old Man of PaxLair. The audio of this Presentation will soon be available in the downloads section of UO Radio.